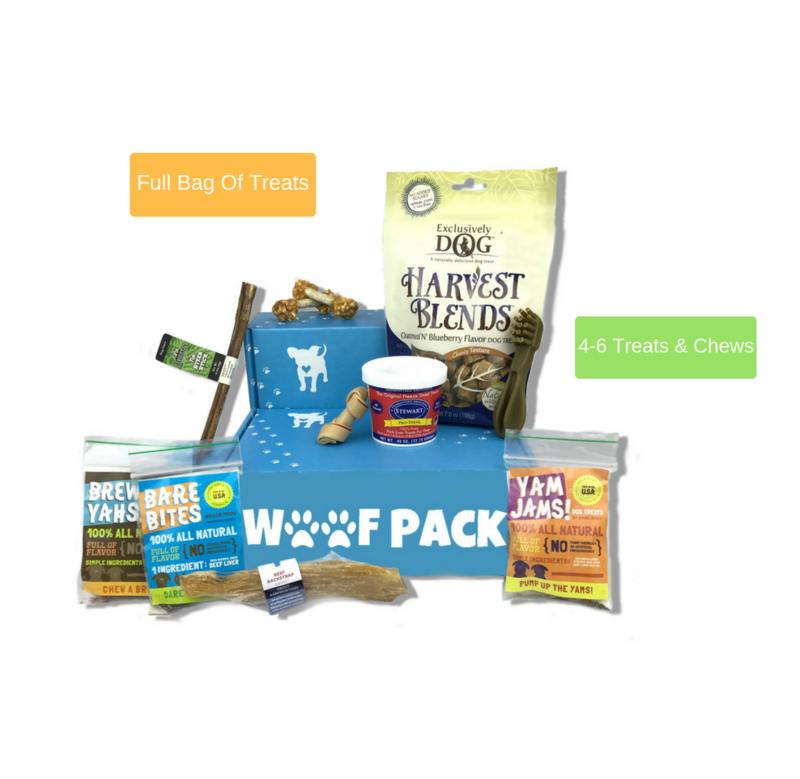 Every month you’ll receive a variety of paw-picked toys, treats, and chews tested by our own pack of picky pups. 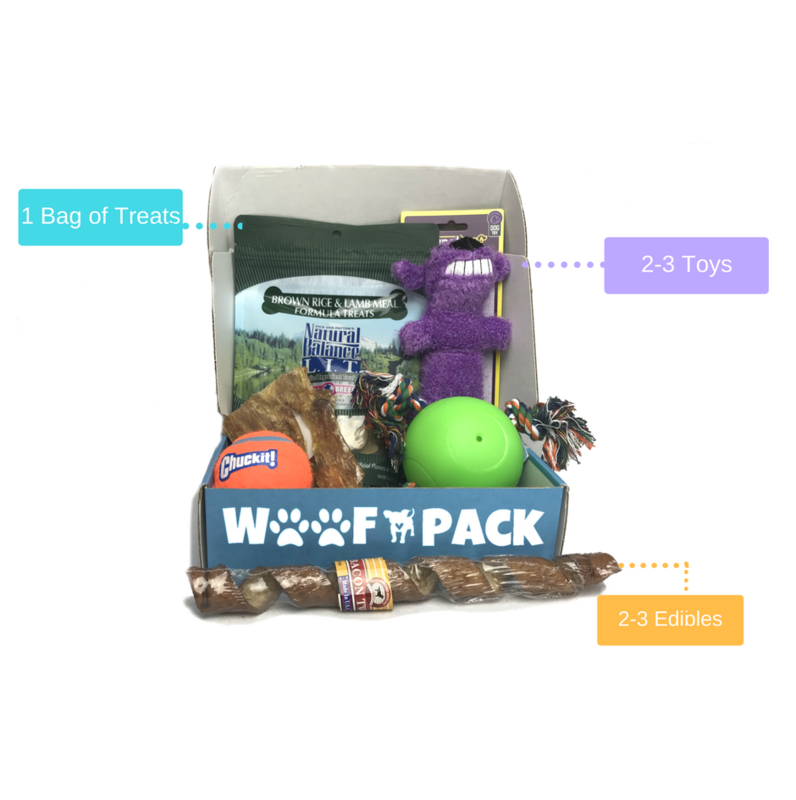 You can either choose a pack full of toys, treats, and chews, or a treats and chews only pack. For the same reason big box stores are; we buy in bulk at discounted prices, then ship the toys directly to you in your Pack each month. Not having a retail location means a low overhead, so we pass those savings onto you. It also means the retail value of each Pack will always be more than you pay each month. It's a win, win! Each pack is around $40 MSRP, and you can get your pack for as low as $20 a month, + free shipping!